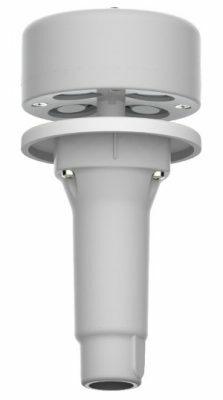 Prodata Weather Systems announces the launch of the LCJ DZP ultrasonic anemometer. This new unit is fully compatible with Davis Vantage Pro 2 & EnviroMonitor range of weather stations and is ideal for users looking for a responsive, higher quality anemometer for use with a Davis station. This DZP anemometer is fully compatible with Davis VP2 and EM stations and is a direct drop-in replacement for the standard 6410 anemometer, fully mirroring the 6410 data interface and with the 5m signal cable terminating in the standard RJ11 plug. This DZP model is completely self-powered with a small solar panel on the upper face of the unit and a rechargeable battery in the its stem. Further details are available on the main DZP anemometer page at www.weatherstations.co.uk/lcj-ultrasonic-anemometer.htm and the DZP anemometers can be purchased from our online shop .